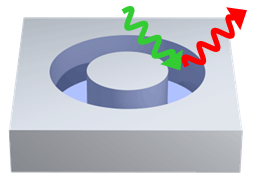 The Photonic Forces group studies light-matter interactions, enhanced by confining photons to very small length scales for appreciable times. 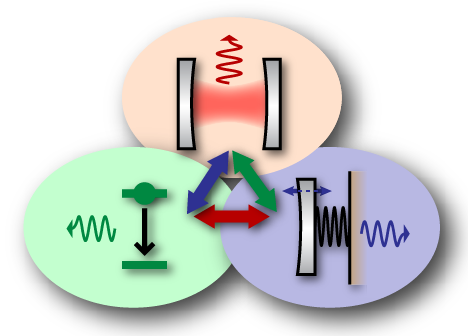 A strong focus is the coupling between light and motion in nano-optomechanical systems. 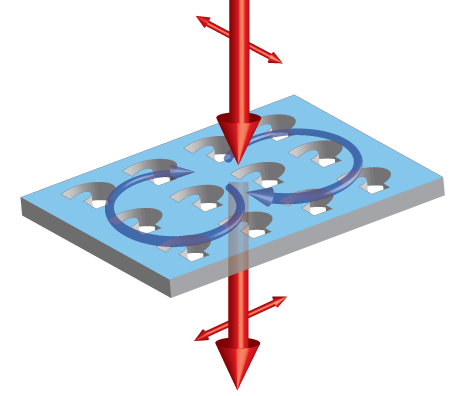 Optical and acoustic degrees of freedom, both confined on the nanoscale in tiny optical cavities and vibrating mechanical structures, can strongly interact through radiation pressure forces. This allows extremely precise sensors, new photonic functionality, and control over the motional quantum state of a ‘macroscopic’ object. 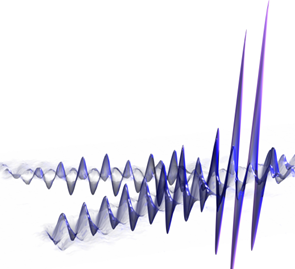 The intimate connection between precise measurements and control over the quantum state of a system is reflected in the notion that a strong measurement can directly affect a system by projecting it in an eigenstate. 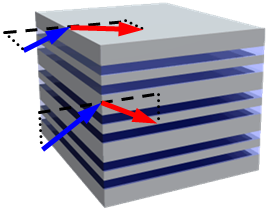 We study nanophotonic optomechanical systems that can serve as extremely sensitive and fast sensors of mechanical displacement. Using such displacement measurements, we aim to precisely control the quantum state of small mechanical objects. M.-A. Miri, F. Ruesink, E. Verhagen, and A. Alù, Optical non-reciprocity based on optomechanical interactions, Phys. Rev. Applied, in press (2017), arXiv:1612.07375.